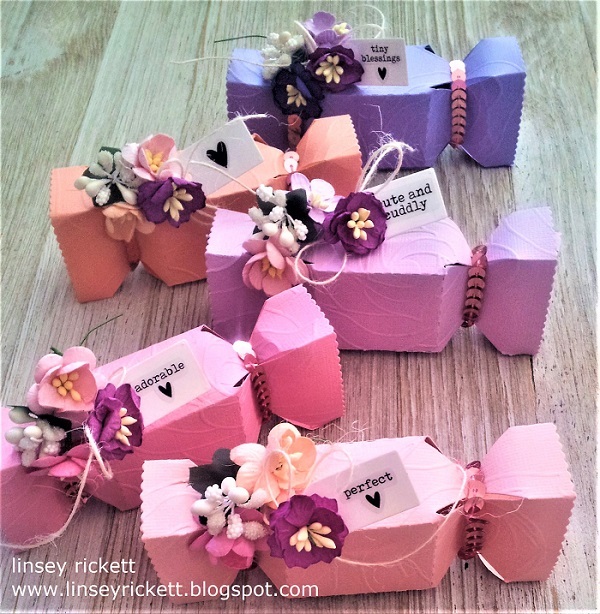 Hi friends, Linsey here today sharing my latest Craftwell project with you! I always love the idea of making my own party favors for special events and occasions and the Cut'N'Boss electric embosser and die cutter is the perfect tool for such a project. 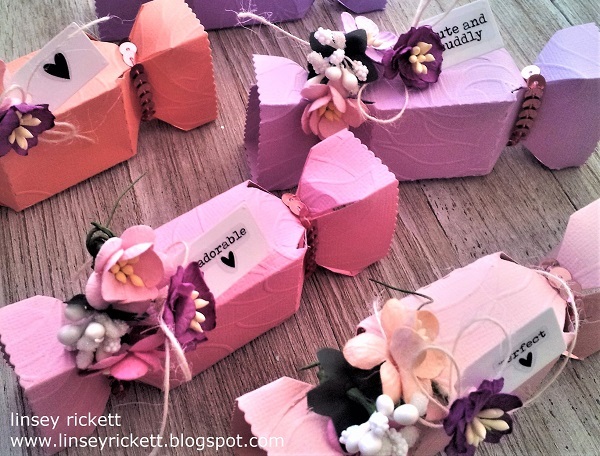 With summer in full swing, I was feeling wedding and baby shower vibes so I decided to create some pretty party favors for either of these special occasions. These would also work great for a Sunday brunch or afternoon tea with the ladies, placing one at each table setting for an elegant extra touch. I chose cardstock in an array of pink and purple shades, then dry embossed each piece with the Teresa Collins Bella Rose Embossing Folder. Next, I die cut each piece with a treat/favor box die, then assembled accordingly. Both sides of each box are wrapped with rose gold sequin string and secured in the back. 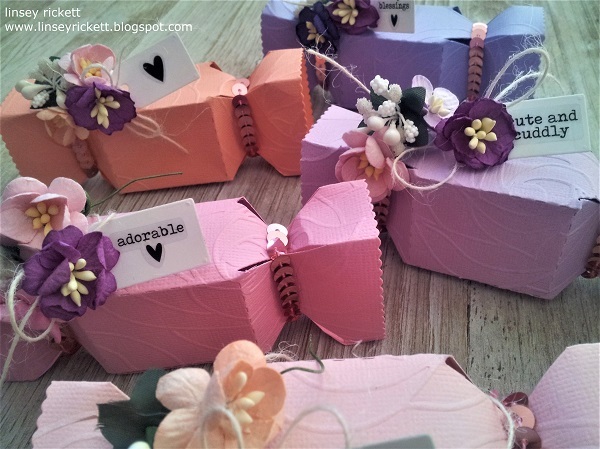 To adorn each box, I added Wild Orchid Craft Cherry Blossoms Mixed Pastel Colors and Wild Orchid Craft Bead Berry Spray Clusters White. Thanks so much for stopping by today. I hope you've been inspired to create with the awesome Cut'N'Boss or any of the awesome products Craftwell has to offer! Until next time, happy crafting! How cute. I love this idea. The are so sweet! I love the colors you chose and the embossing! Beautiful job! These boxes are beautiful! I got an amazing idea for my sister’s baby shower. I have to share this post with all her friends. Also, I have found an event space NYC for the celebration. I have to make her day a really special one. All of us are very excited to meet the little one.